Following on from Section 5 of the Code - "Beekeepers Must Maintain Records of Biosecurity-related Actions and Observations" we move to our next instalment ''Hives Must be Appropriately Constructed and Branded"
Hives (including swarm catch boxes) must be maintained in good condition to minimise the risk of disease spread. If bees can only enter and leave the hive through the entrance designed by the hive manufacturer this will assist bees defend their hives from robber bees. To facilitate the hive inspection required in Part B section 3 of the Code, all hives must have removable combs. Top bar hives are permitted but only if the combs can be individually and separately removed from the hive for inspection; all hives must be branded in accordance with state or territory regulations. 6.1 A beekeeper must ensure that each hive (including swarm catch boxes) is manufactured and maintained so as to have intact external surfaces with bee access only permitted via specifically designed and manufactured access points. 6.2 All hives must be maintained in way that allows combs to be individually and separately removed from the hive for easy inspection. 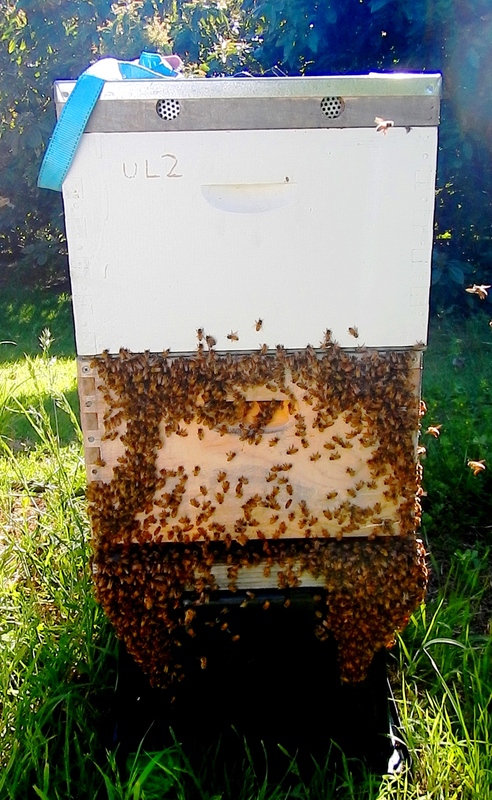 6.3 A hive placed for the purpose of catching bee swarms (a swarm catch box) must only contain foundation. Frames already drawn or that contain brood, honey or pollen are not permitted. 6.4 Each hive must be clearly and legibly marked with the beekeeper’s allocated hive identification code in accordance with relevant state or territory legislation. 6.5 A hive placed for the purpose of catching bee swarms (swarm catch box) that is not on the property where the beekeeper normally resides must also be identified with the beekeeper’s name (or company name) and a contact telephone number, in characters at least 25 mm in height. If you want to become a beekeeper in Western Australia, you need to register with the Department of Agriculture and Food, Western Australia (DAFWA). Fees are set at the beginning of each financial year. You will be issued with a licence and brand identification which must be printed on all your beekeeping equipment. Next issue - Beekeepers Must Not Allow Hives, or Appliances to Become Exposed or Neglected. You need to change the APC fees to Service fee $25 and $1:20 per hive. Would also like to suggest to write up what the fee is for.